Entrepreneur. Dragon. Angel. Shark. 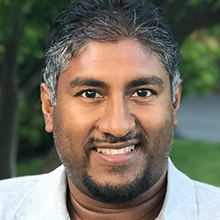 Vinny Lingham is a 4-time successful startup founder & CEO. His latest venture, Civic just sold $33 million tokens during its June 2017 token sale event. He was previously the founder and CEO of Gyft & Yola, Inc. that sold to First Data Corporation in 2014. Mr Lingham has appeared as one of the investors, or “dragons”, on South Africa’s Dragons’ Den reality TV series, he is also one of the “sharks” on the follow-up to Dragons’ Den, Shark Tank South Africa.